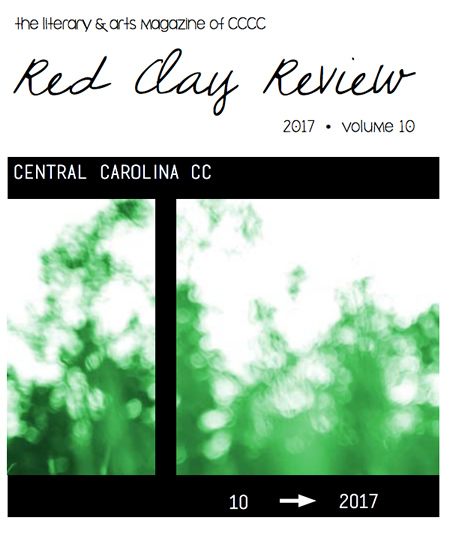 The 2017 Destination-themed issue of Red Clay Review is available. The digital edition is here, and print copies can be obtained by contacting Summerlin Webb at rcr@cccc.edu or (919) 718-7270. Red Clay Review is accepting submissions for its 2018 music-themed edition. Submissions must be sent to rcr@cccc.edu and include the writer’s name, mailing address, phone number, and word count. Entries must be received by May 10, 2018. Questions may be sent to the same address or contact Summerlin Webb at (919) 718-7270.